Half Day Uluwatu Tour is a Bali Highland Half Day Tour packages and the popular choices for the short trip visiting the awesome Uluwatu Temple during the sunset time. Uluwatu Temple is one of the biggest sea temple, located in the southern of Bali islands, the location is the 70 meter high cliff protruding the Indian Ocean. 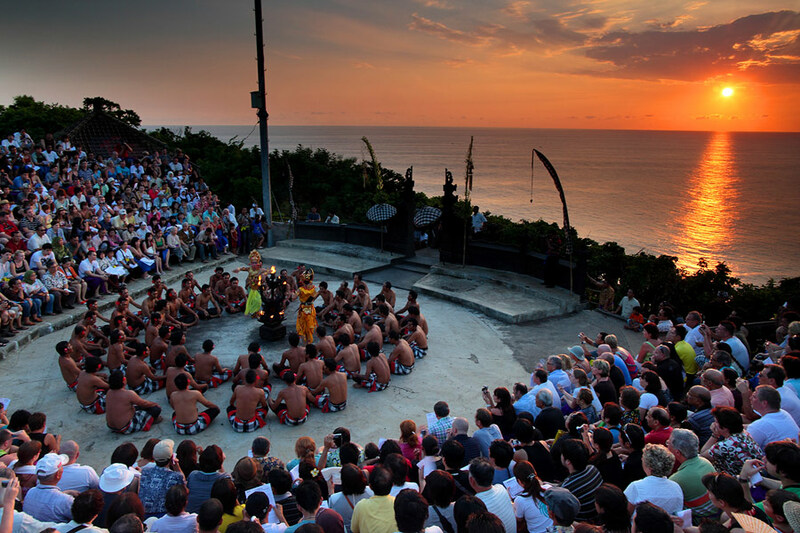 Bali Uluwatu Tour packages we offer will visit the Uluwatu Temple for see the remarkable sunset at the temple, then watching the famous kecak and Fire Dance at open air stage near Uluwatu temple. The stage was setup perfectly, while you watching the dance you also can see the view of the sunset, the duration of the dance is one hour. The dance taking story from fragment Ramayana. 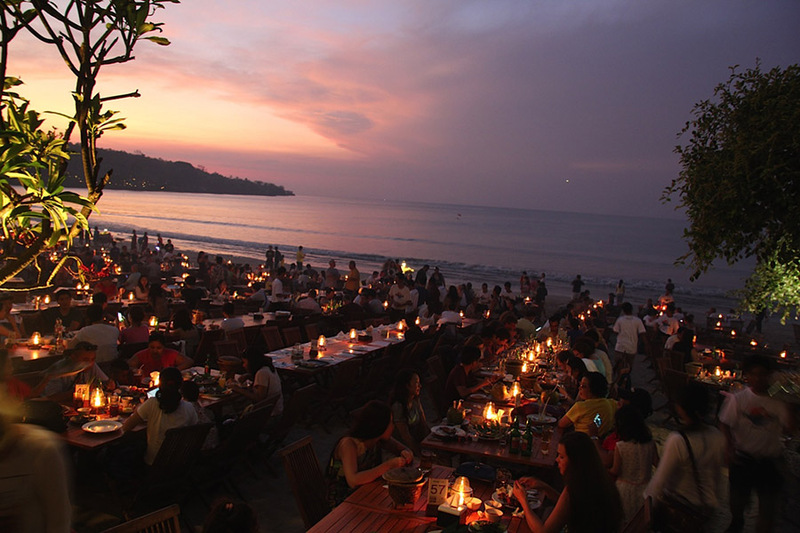 Then after watching the dance, we continue the Uluwatu Tour journey to enjoy the delicious seafood dinner menu at Jimbaran Bay Beach, the dinner will make your day more impressive, due the location of dinner setup on the beach of Jimbaran with some candle on the table make the situation more impressive. Bali Uluwatu Tour will bring you to the great memory with three separate encounters as the peculiarity of this Bali Uluwatu Tour packages. Our expert Bali Driver is continually exceptional offer our best tour service to keep your comfort alongside private full air condition car will complete your journey on Bali Uluwatu Tour. The following is the description of vacation spot will be visit during the Uluwatu Tour. Uluwatu Temple is one of Balinese Hindu Temples spotted right on the petrifying slope with the chasm exist in the privilege and left side. 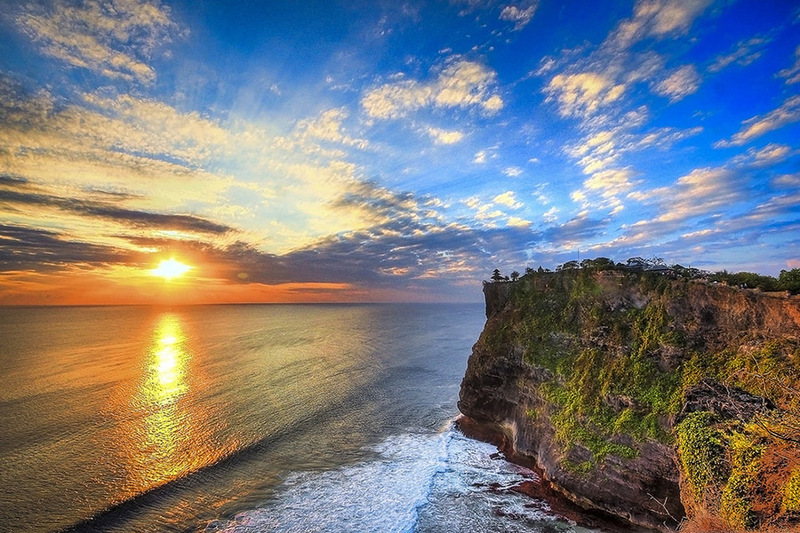 Uluwatu Temple is one of Sad Khayangan with the awesome view facing to the ocean on the high 70 meter. The temple is very famous to visit specialy during the sunset time, in this temple you can enjoy the magnificient view of sunset. Kecak and Fire Dance is a fantastic traditional Balinese dance with the beautiful movement of the dancer. The Kecak Dance is an especially unique and possibly the most dramatic of all Balinese dances. A combination of dance and drama. It is exceptionally energizing and one of a kind move because of the sound of gamelan is not utilizing by the ordinary gamelan but utilize their mouth with sounds cak. Jimbaran Bay Beach is traditional local fishing village in Jimbaran area. This village is the center of the fresh local seafood. With the white sands is perfect place for enjoy the romantic dinner with delicious seafood menu. The table will setup on the beach with some candle make the atmosphere very romantic. Is perfect place for honeymoon for enjoy the awesome dinner.